Spray a 13 x 9-inch baking pan with non-stick baking spray. In a small bowl add graham cracker crumbs and butter. Pour the sweetened condensed milk over graham crackers. 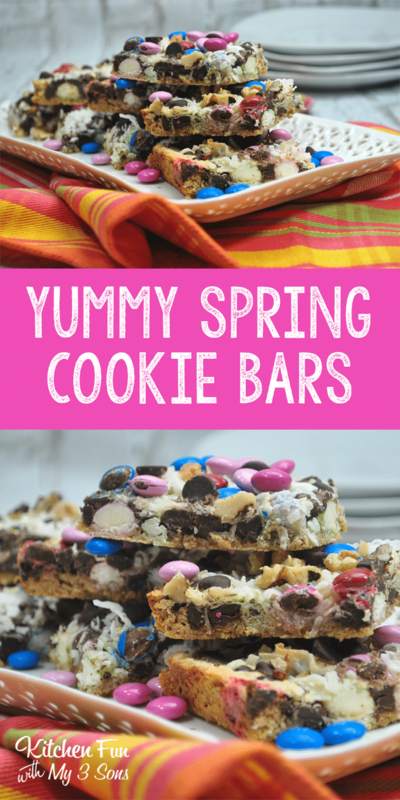 Layer with coconut, chocolate chips, M&M candies and nuts. Remove from the oven and place on a wire rack to cool for at least one hour.